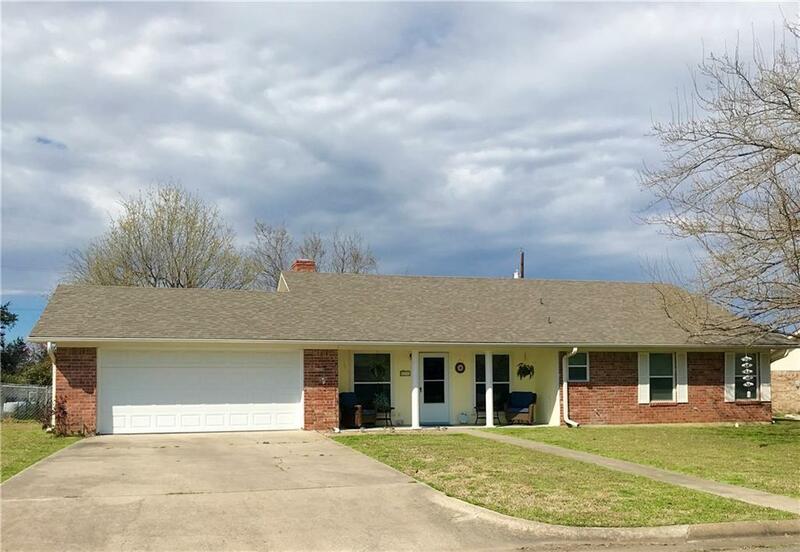 Lots of updates and flair in this 3bed, 2bath, brick home with 2 car garage! 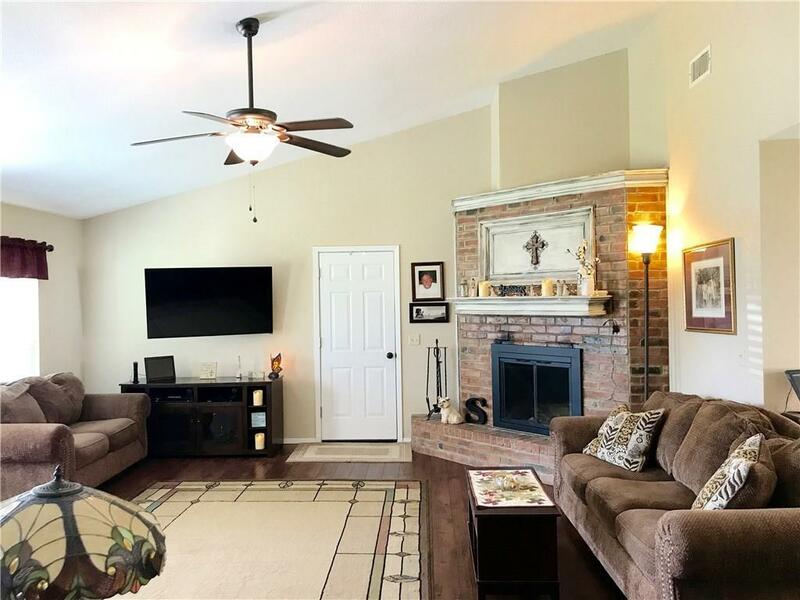 From the living room, enjoy the vaulted ceilings, wood burning fireplace, elegant wood-laminate flooring that opens into dining area. Dining area includes wood-laminate flooring and has access to back patio through double doors. The updated kitchen contains granite countertops, stone backsplash, ceramic flooring, stainless steels appliances, ceiling fan, and decorative lighting. 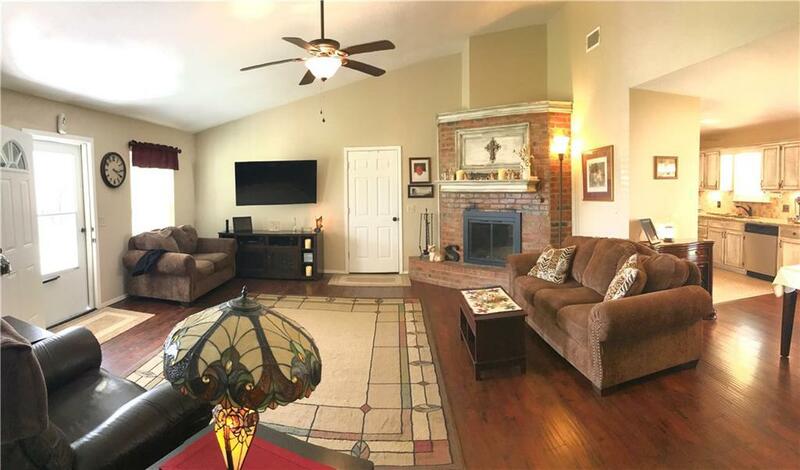 Master bedroom has plenty of space with ceramic flooring in master bath and double sinks with granite countertops. 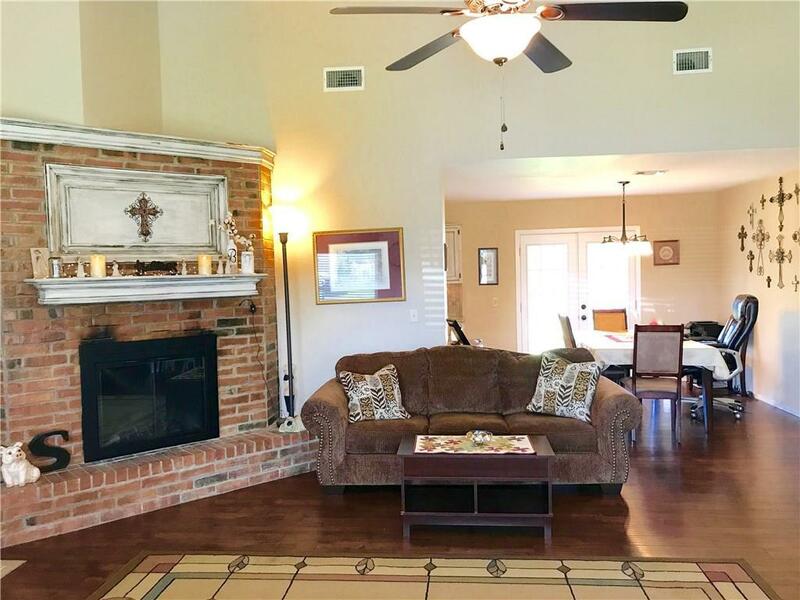 Other features include ceiling fans throughout, built-in cabinets, fenced large backyard, and garage with openers. Offered by Kristi Brewer of Janet Martin Realty.